And you thought the Kiss reunion tour was big? This is bigger. On Thursday, October the 27th, Drinking Liberally’s Pre-Election Big Show will feature the long-awaited — and highly anticipated — reunion of William Davis and Ian Levitt (not shown above), formerly of the hit radio show The Best of Ian and William on AM950, The Progressive Voice of Minnesota. Sometimes, people ask me at Drinking Liberally, “Whatever happened to those guys?” And sometimes, I reply, “Well, Ian’s right over there at the bar.” But we haven’t seen William for a while. 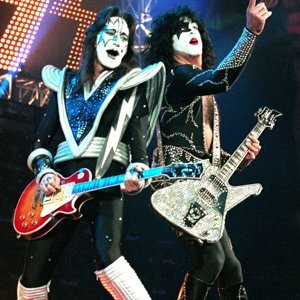 It’ll be good to have them both there, and on the stage no less. As a warm up, we’ll play a short round of Drinking Liberally’s award-winning trivia. It will be a special election edition. You will probably do well if you bone up on Harold Stassen and practice shooting your arm into the air. This is a game of reflexes, my friends. 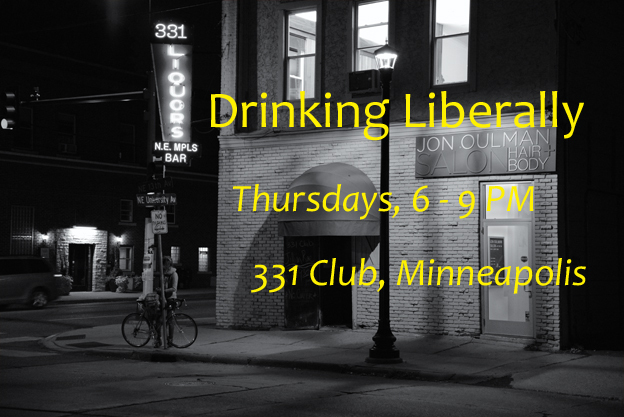 Drinking Liberally in the Twin Cities meets at its ancestral home, the 331 Club in Minneapolis, in the shadow of the historic Grain Belt brewery. (If we were closer to the Arctic Circle, that would actually be true.) We start to gather around six PM, every Thursday, and programs start at seven PM, more or less on the dot. This one will, too. Drinking Liberally’s really big show! Party at Drinking Liberally this week!